THE SKINNY: Ulta has really expanded their house line lately (and is offering stellar deals on a variety of items), so I was pretty excited to try a few new things. 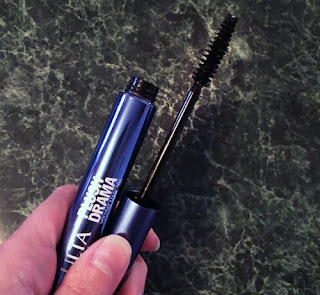 But Ulta Plush Drama Mascara ended up being something I won't try again. The mascara was super goopy. And went on that way too in little blobs. Then it did not dry well and I blinked it all over my face. I am still struggling as to whether the problem was the brush, which was somewhat awkward, or the overall formula. (Or maybe I got a tube that was old?) Either way, I washed it right off and had to start over. Not good. 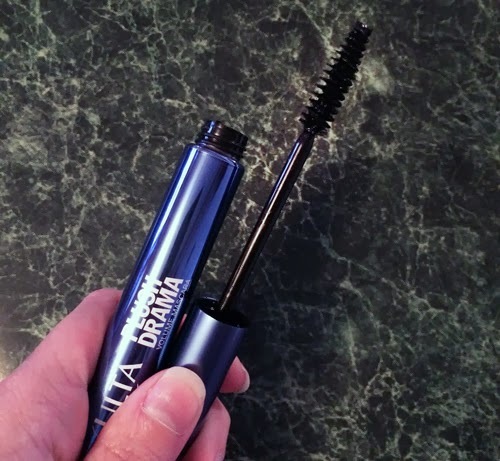 CHECK IT OUT: Ulta's Plush Drama Mascara is inexpensive and you can find it in stores and online. Let us know in the comments if you have had better results.